We’ve all been on holiday somewhere, wondering around a grand city, when we see something of interest but your 20 year old guide book you purchased from a charity shop seems to have missed it out. Without a clue of what it was or any of its history you resign yourself to the fact you will never know. 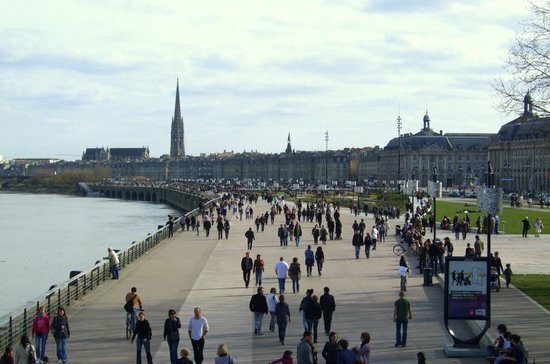 Bordeaux however have set about changing all this, putting QR Codes across the city, near tourist attractions, which can be scanned for the user to find out more. Although it could be argued that a simple board containing the information could be placed near the objects the QR Codes offers far more. It can offer the content in far more languages, and far more content, for much less room as well as being able to offer various types of media. A link could take you to an information page complete with a video history. What is more this can all be updated from a computer rather than hiring expensive contractors to go and change the information board next to every attraction. This initiative is in conjunction with several other innovative moves such as interactive mobile based games around the city which involves ‘unlocking’ the city and renaming streets. Would you ever use this stuff if you were on holiday there?